A new City Council will be sworn in next month, and aldermen are quickly organizing into both new and old coalitions to push their political agendas. But how exactly will this new council take shape? And will it become less of a rubber stamp and more independent from the mayor’s office? Joining us to discuss the new City Council are Ald. Howard Brookins, Jr. (21st Ward), Ald. Ricardo Munoz (22 nd Ward), Ald. Scott Waguespack (32nd Ward), and Ald. Patrick O’Connor (40th Ward). The Black Caucus is the largest coalition on the City Council with 18 members. The caucus focuses on issues affecting the city’s African-American community, such as crime, police accountability, and economic development on the south, far south and west sides. Click on the black dots in the image below to learn which aldermen could be members of the caucus. The Latino Caucus includes 13 aldermen who are Hispanic or represent wards with large Hispanic communities. This caucus seeks to expand its influence as the city’s Hispanic population grows. The last census showed the Hispanic population grew about 25,000 between 2000 and 2010. As a result, the Latino Caucus was able to add three Hispanic-majority wards when the council approved new ward boundaries in 2012. Click on the black dots in the image below to learn which aldermen could be members of the caucus. The newly formed Gay Caucus will have five members once the new City Council is sworn in. This caucus will advocate for issues affecting the city’s LGBT community, such as increased HIV prevention funding and police profiling of transgender people. Click on the black dots in the image below to learn which aldermen could be members of the caucus. 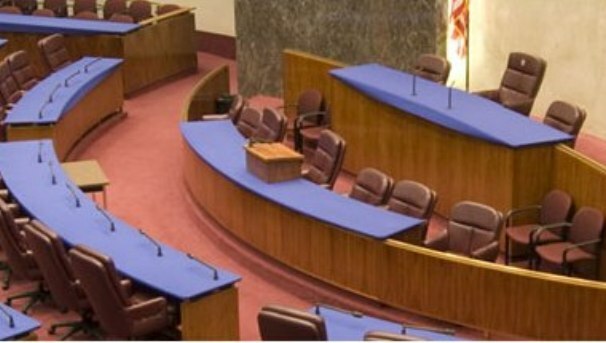 The Chicago Progressive Caucus could see its membership boosted to 13 aldermen after the new City Council is sworn in. Among its members are aldermen who often vote against the mayor. This coalition generally wants to see more transparency and accountability in city government. Click on the black dots in the image below to learn which aldermen could be members of the caucus. The Paul Douglas Alliance includes nine aldermen who frequently vote with the mayor but want to see some reforms at City Hall. Click on the black dots in the image below to learn which aldermen could be members of the caucus.